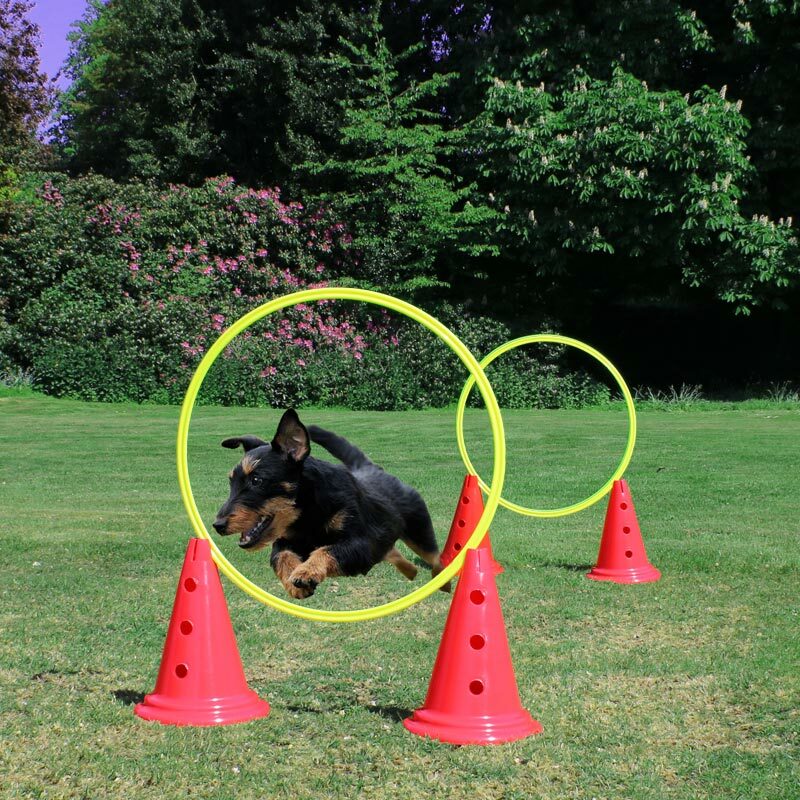 The DOGM8 Dog Agility Rings Pack is ideal for exercise, show training, obedience training and jump training. Bright yellow colour for high visibility. 12 x Agility Rings and a bag. 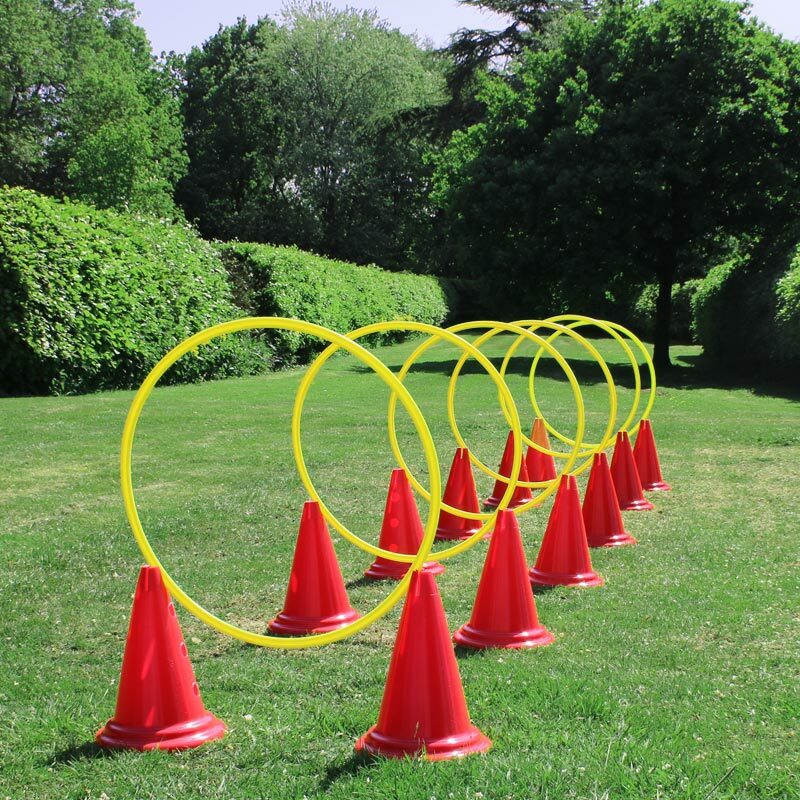 12 x Spare Cones (Red).